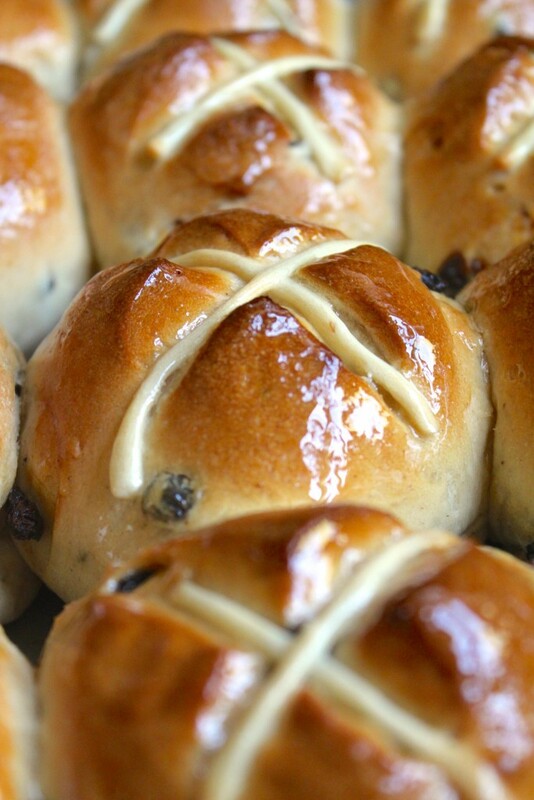 Hot cross buns are a classic English confection. 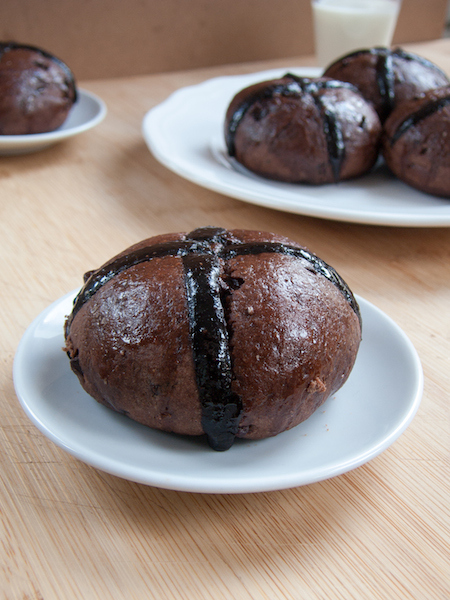 Made from a light, airy dough, they are studded with dried fruit and topped with a sugar glaze and X, or *cross* of icing. 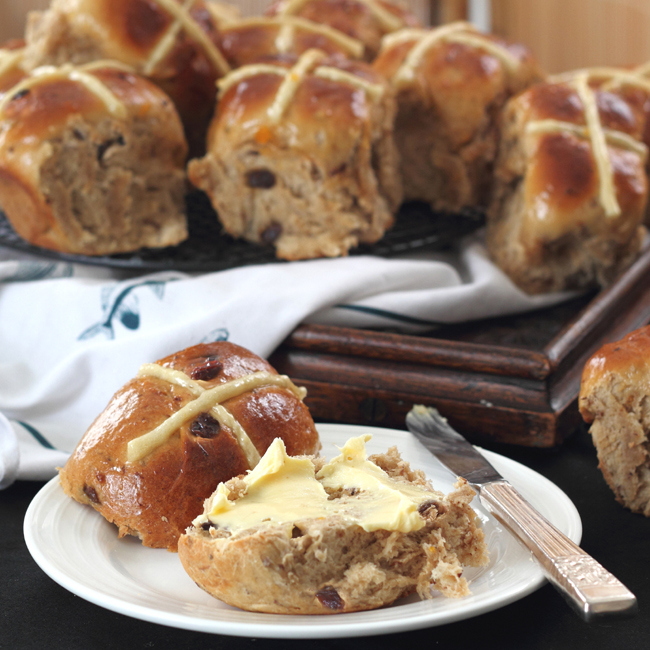 Hot cross buns are even easier when you can make them in a bread maker; the dough is perfection, and you are free to work on other parts of your Easter meal while the dough rises.